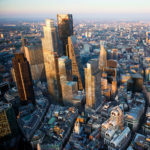 Representatives from Momentum Transport Consultancy attended New London Architecture’s (NLA) Public Realm in London – Ideas for the Future event in December 2017, where a range of planning and urban design experts presented their ideas for what the future of the capital’s public realm could look like. The demand for high quality public realm space in London is greater than ever before. Due to rapid population growth, increased commuter footfall from nationally significant schemes such as Crossrail and HS2, and the limited availability of space within the capital, existing public realm is under increasing pressure to work harder to serve a wider mix of users. From large scale city-wide schemes to small local interventions, London’s public spaces are changing rapidly. Public spaces around developments can play as important of a role in making the development a success as the building itself. With this in mind, schemes that are able to effectively balance the need for commercial, residential and other developmental growth with high quality public realm are crucial for sustained urban prosperity. 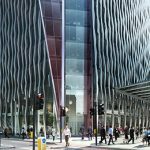 Urban planners and architects are being increasingly asked to think creatively about public realm space provision, with technological innovation and ‘shared spaces’ helping to make this possible. 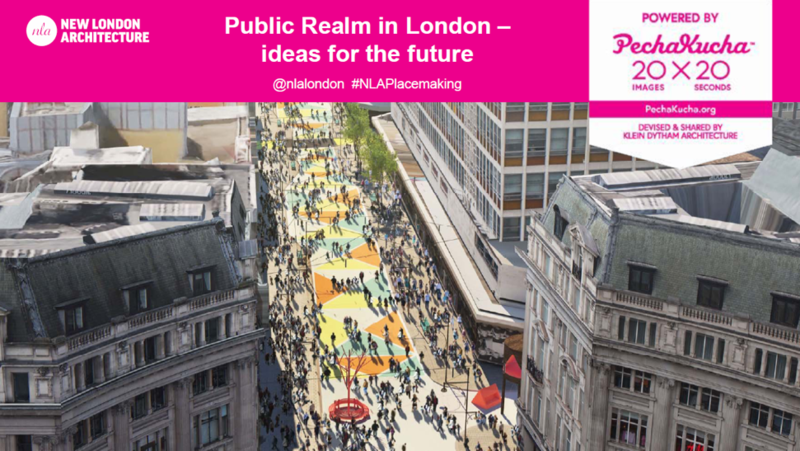 Keen to learn more about new ways in which public realm is being provided in the capital, representatives from Momentum Transport Consultancy attended the Public Realm in London – Ideas for the Future event hosted by NLA in December 2017. With a footfall increase of 40% expected in London and the impact of Crossrail, proposals to pedestrianise the western section of Oxford Street have been made in response to a lack of available space for pedestrians. 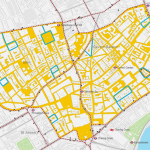 Whilst some aspects of the proposals have attracted criticism (including the ban of cycling), a range of interventions, including bespoke street furniture, artistic pedestrian crossings, breakout spaces on side streets and a resurgence of cultural activities (e.g. mini golf), could help facilitate a redefined sense of place along the street. Interventions will be tested on a temporary basis in the first phase of works to prevent the introduction of unpopular or underutilised schemes, with permanent installations delivered in later phases. Sadiq Khan’s desire to make London “a city where walking, cycling and green public transport become the most appealing and practical choices” for journeys could well lead to further areas in the capital becoming either fully or partially pedestrianised. The recent prohibition of weekday vehicle movement (except buses and cycles) through Bank Junction provides further evidence of the mayor’s support for the prioritisation of pedestrian and cyclist movement, with Soho and Covent Garden other potential locations where partial or full pedestrianisation could be particularly effective. Possible public realm interventions for the pedestrianised Oxford Street, including a depiction of possible artistic crossings. Source: TfL Urban Design Team. Bank has been earmarked for a transformation scheme which aims to change public perception of the area from a corporate and weekday dominated district to a multi-purpose and multi-user destination. 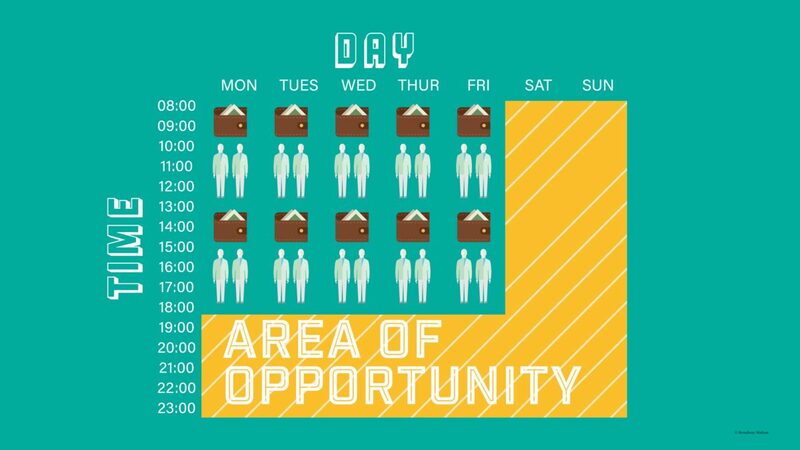 Weekday evenings and weekends have been identified as the main window of opportunity, when the area is least used. The concept that everything in Bank, including rooftops, squares, and churchyards could perform as flexible, open spaces in this window of opportunity forms the core tenet of suggested proposals, including live performances, VR/interaction and opportunities relating to ‘The Four Principles’; Food, Film, Fitness and Fun. This refreshing approach looks to better utilise existing spaces during quieter time periods for public realm provision rather than providing additional space as such; a strategy which could bear fruit in similar areas within the space-confined capital. At Momentum, we have a shared desire to design public realm spaces that are both functional and innovative. This was recently demonstrated in our award-winning work with McGregor Coxall on ‘The Smart Carpet’ concept. Located on Cheapside and to the east of St. Pauls Cathedral, this idea centres around a flexible street supported by a variety of paving modules that incorporate modular street furniture, LED lighting, the ability to generate energy and data to change the environment. London’s air quality issues have been subject to unfortunate media attention in recent months, with awareness of pollutant impacts on human health, ecosystem functioning and the enhanced greenhouse effect growing by the day. Innovative ways in which street furniture could play a considerable role in particulate capture, sequestration and circulation were presented at the NLA event. Along with trees – of which Sadiq Khan wishes to see two million more planted by 2025 – soils and fungi were suggested as agents for pollutant capture and sequestration, with the transformation of roundabouts and junctions into ‘boulevard’ style designs suggested as one way to introduce them. The use of building facades, lighting columns and other street furniture were also promoted as ways of providing ‘green walls’, which could perform as natural air filters. These ideas show how innovative uses of public realm can provide beautiful spaces for people whilst also acting to tackle poor air quality in tandem. Rethinking roundabout designs with green infrastructure. Images Sourced from Eric Hallquist, Director of Landscape Architecture, Aecom. The use of street furniture and building facades in creating green walls. Image sourced from Eric Hallquist, Director of Landscape Architecture, Aecom. As a result, whilst pressure to provide effective and inclusive public realm in the space-confined capital is growing, the shift in space prioritisation from vehicular to pedestrian and cyclist movement has enabled urban designers, architects and planners to think creatively to deliver high-quality public realm. Pedestrianisation, the provision of flexible spaces and innovative use of green infrastructure are just three ways in which this can be achieved. Momentum looks forward to building upon our impressive portfolio of public realm projects in the capital and further afield. We thank the NLA and all speakers for hosting such an insightful event!